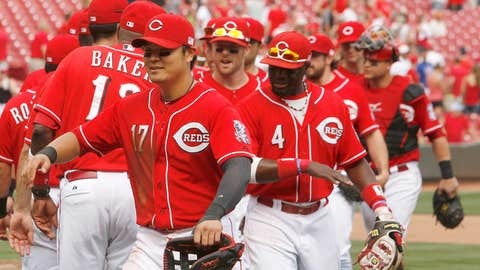 MLB's average yearly salary rose to a record $3.39 million this season, which is nearly $17 million less than former Reds OF Shin-Soo Choo reportedly turned down from the Yankees. NEW YORK (AP) — While the New York Yankees set another salary record, the Houston Astros had the lowest average in the major leagues in 14 years and the attention of the players’ union. The overall big league average rose 5.4 percent this season to a record $3.39 million, according to the annual report released Wednesday by the Major League Baseball Players Association. The increase was the steepest since 2006. In the economy at large, civilian compensation is increasing at an annual rate of 1.9 percent, according to the U.S. Bureau of Labor Statistics. The average U.S. wage in 2012 was $42,498, according to the Social Security Administration. The Yankees had the highest average for the 15th consecutive season at $8.17 million, breaking the mark of $7.66 million when they won the World Series in 2009. The Los Angeles Dodgers were second at $7.82 million. Houston’s average of $549,603 was the smallest since the 1999 Kansas City Royals at $534,460. The Miami Marlins were 29th at $830,069, down from $3.77 million in 2012, when they ranked 10th. Baseball’s collective bargaining agreement requires a team to use revenue-sharing money it receives "in an effort to improve its performance on the field." The Marlins had been required to raise player payroll annually from 2010-12 under an agreement between MLB and the union. However, the issue is being dealt with under a provision in the collective bargaining agreement that gradually eliminates the 15 teams in the largest markets from receiving revenue sharing, and the Astros are 15th. Under that provision, those clubs forfeited 25 percent of the money this year, half in 2014, 75 percent the following year and all in 2016. "We are watching both clubs closely, but were already aware what their 2013 spending would be and that there wasn’t enough there to move beyond acknowledging as much," new union head Tony Clark said in an email to The Associated Press. "With Houston a big factor is their impending `market disqualification.’ For Miami, they actually have a long-range plan that suggests they will make the considerations necessary to be compliant. "That said, both clubs are being monitored, and MLB recognizes that there is a potential for a dispute if the clubs do not move in the right direction." World Series champion Boston was fourth at $5.46 million, just behind Detroit at $5.53 million. St. Louis, which won the NL pennant, was 10th at $3.75 million. Tampa Bay had the lowest ranking among the 10 playoff teams and was 24th at $2.13 million. Figures are based on Aug. 31 rosters and disabled lists, with 940 players averaging $3,386,212. 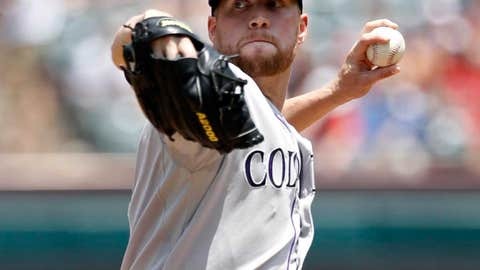 Major League Baseball, which uses slightly different methods, calculated its average at $3,320,089, an increase of 6.9 percent.